The compact, affordable PowerLite L610 laser projector delivers powerful performance for education and business applications. Get bright, vivid images with 6000 lumens of color/white brightness. 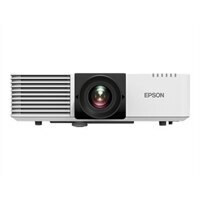 This robust projector also offers XGA resolution up to 400-inch. Featuring breakthrough laser technology, it delivers a laser light source of up to 20,000 hours. And, it offers virtually maintenance-free operation for the life of the optical engine. Plus, it features a dynamic contrast ratio of up to 2,500,000:1. It also includes manual lens shift, and advanced installation features. Brilliant, colorful images up to 400"